Why do you choose Robobloq? Robobloq is a high-tech pioneer in STEM products development. We are dedicated to provide up-to-date educational robotics for kids. As a one-step solution provider and integrator for STEM education, our platform combines sturdy aluminum mechanisms, intelligent electronic modules and easy-to-use software. Robobloq empowers children to develop hands-on abilities & coding skills, and bring their innovative ideas to life. 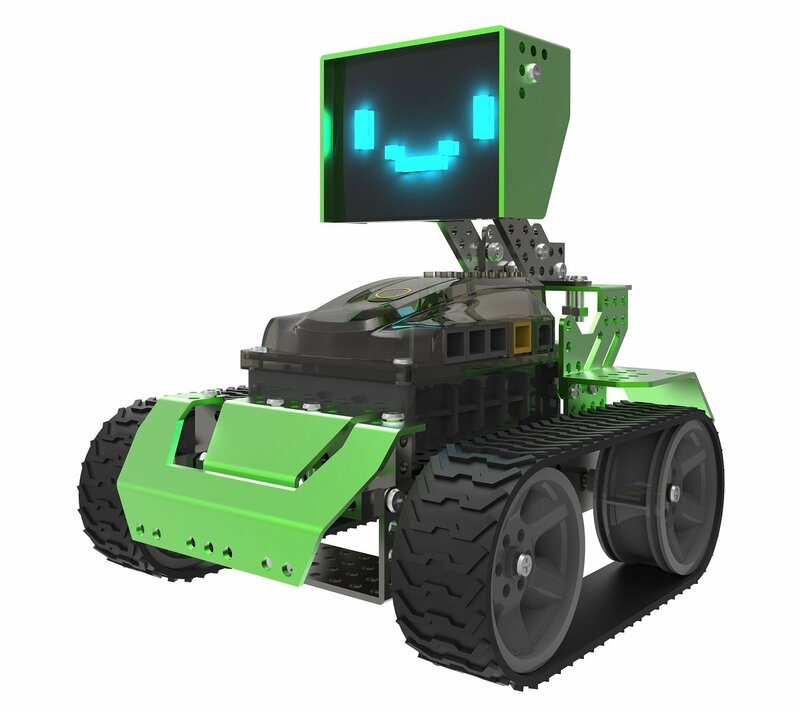 Do you want to build your own robot and learn basic programming while having fun? Then you'll like Qoopers! Qoopers is a metal blocks building platform with extensive DIY capacity. There are growing options of parts, so that you can go endless with your imagination. Based on Arduino, you can program the robot on mobile & PC with robobloq APP, or C language. Schools and workshops can also find Qoopers suitable for curriculum integration and other educational purposes. Notice: You need a smartphone or tablet to control the robot moving. PC software is just for coding.